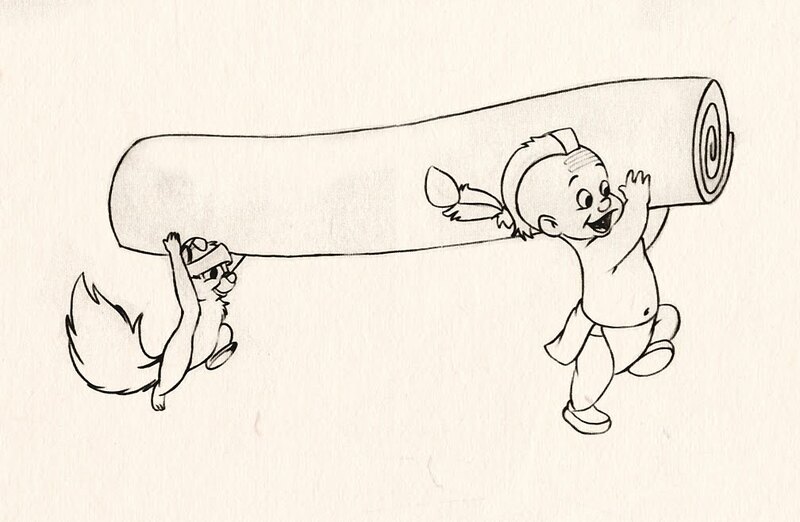 Tommy Mohawk and his little pal, Chatter! We recently acquired a stack of rare television commercial model sheets created by Disney artists in the '50s. When these animated ads were produced, Walt was looking for ways to earn extra money to keep his studio afloat and help finance Disneyland. 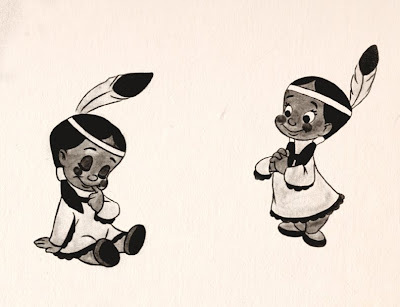 The characters you see here for Mohawk Carpets were drawn in 1952 in the traditional Disney style. 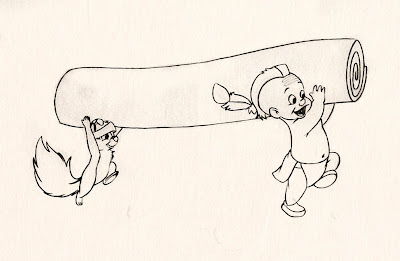 Here's Chatter the Squirrel, looking suspiciously similar to another famous nut-loving rodent in the Disney firmament. Apparently his oversized headband would sometimes cover his eyes, causing him to trip and run into stuff. And this sweet Indian maiden is Minnie (short for "Minnehaha"). 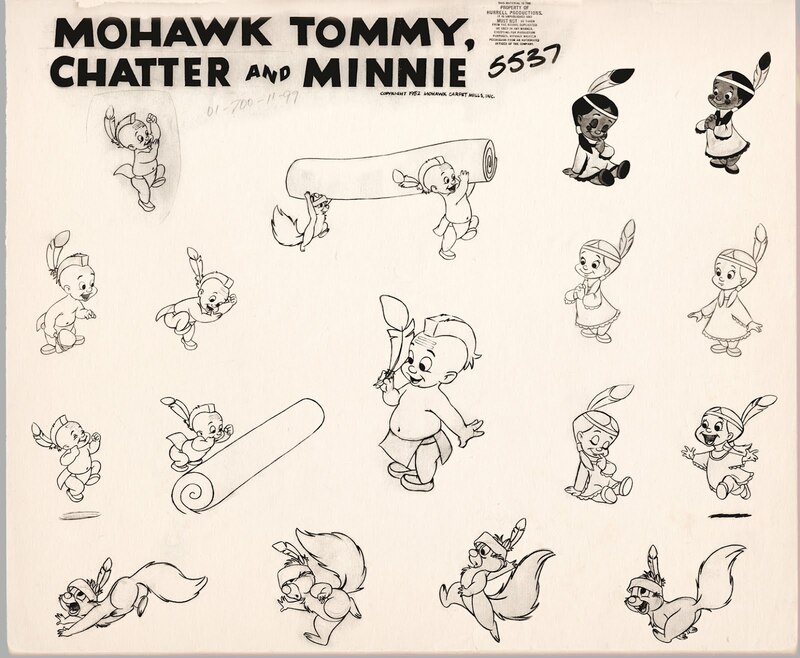 There were eight Mohawk spots produced in all, with the following descriptive titles: Tommy Tests Carpets, Tommy Supervises Weaving, Tommy Plants Carpet Seeds, Tommy Designs Carpets, Tommy Falls for Minnie, Tommy Gives Animals Sleeping Carpets, Birds Use Waterfall for Loom, and Tommy Harvests Carpets. 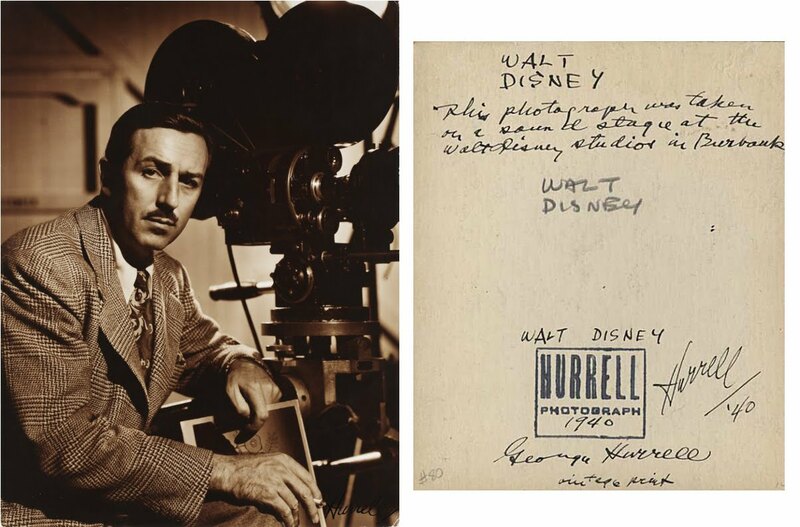 Notice that the Studio stamp at the top isn't Disney's, but reads "Property of Hurrell Productions." Producing commercials for TV in the early days was considered waaay beneath the status of a major Hollywood movie studio, so Walt set up a separate, secret television production studio on the Burbank lot operated by famed glamour photographer George Hurrell...who just happened to be married to Phyllis Bounds, the niece of Walt's wife, Lillian! 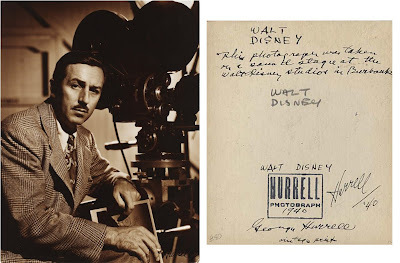 George Hurrell, incidentally, had photographed Walt for this famous portrait way back in 1940. One of my favorites is the Sacramento Bee. At one point the newspaper made buttons with the Bee as their logo, with the Walt signature underneath. A couple of days ago, I noticed a small Mohawk Carpets sign in the local flooring shop window. I was wondering who did the character design. Thanks! I forgot to ask, "Should I take a photo for you?" Kevin- unfortunately the animated sign is no longer animated. The sign is still there and I smile every time I drive by the sign. I have a vision of one day purchasing the sign and somehow displaying the sign. Does anyone know how much a tommy mohawk carpet sample might be worth? Does anyone know who the artist is/was of "Tommy Mohawk"? My Dad, Daniel Haver, was a commercial artist & cartoonist for Mohawk Carpet Mills in Amsterdam, NY in the 1950s. 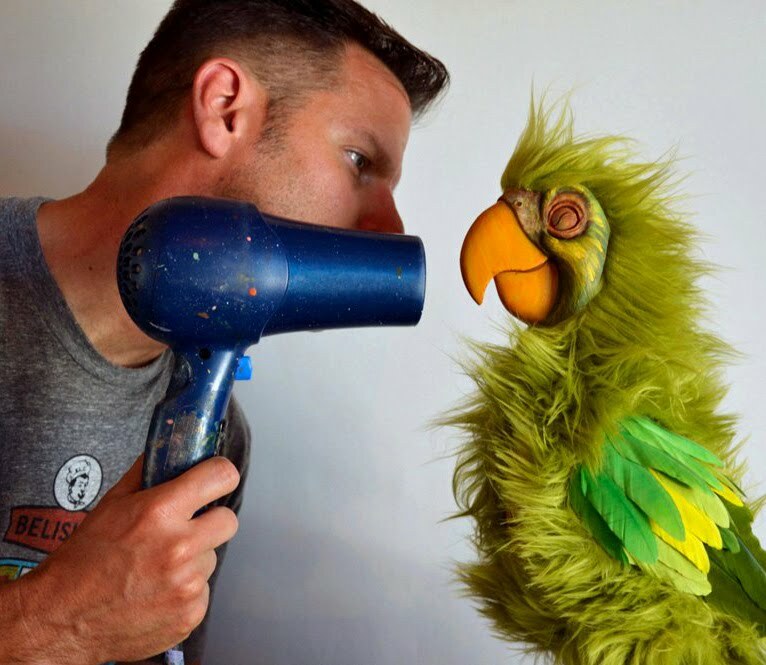 My family maintains that he created Mohawk Tommy. 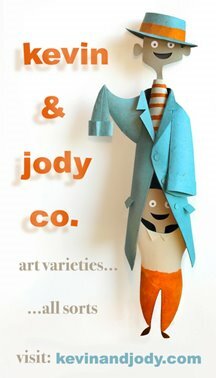 Unfortunately, Dad never received due credit from Disney or anyone for the character he created. Family felt he had been blindsided & ripped off. It would be nice to know the truth re what exactly transpired. Hi, I have that scene you show here on 16mm film. I have posted it on Youtube. Just search for "Tommy Plants Carpet Seeds" and it should show up. As far as I know there is no other surviving films. Wow, thank you, ntscbuff! This is truly a lost gem. You're a hero for sharing it! The Netherlands might just be the only country where people even still remember these characters, because the stories still get published.